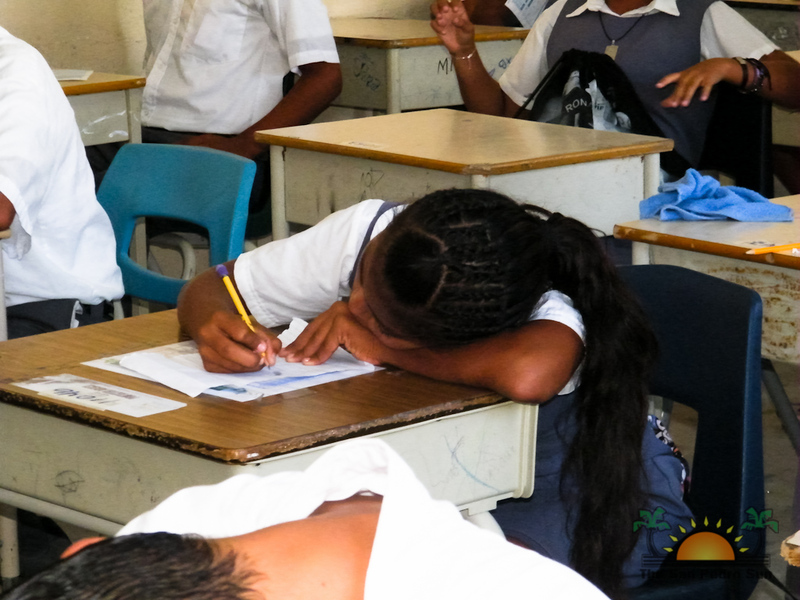 Every year students countrywide prepare to sit Belize’s Primary School Examination (PSE). This exam focuses on four main subjects: Math, Language Arts, Science, and Social Studies. With high levels of energy and expectations; parents, teachers, and children anticipate the PSE and prepare throughout the up-coming months prior to the dates set. Some schools however, like Bernice Yorke Institute of Learning, have embarked on preparing their students from pre-school, so as to get them fully prepared. Most schools however, have stressed standards five and six respectively; to prepare students with the materials that will be given on this exam. It must however, be noted that the preparation for this PSE is a collaborative work of all teachers within that particular school and preparations should start from the lower levels within that institution. PSE has become of single importance as some schools wait for the results and thereby accept their students based on the grade they have made. Therefore; getting a passing grade of above 50 % is of utmost importance. Principals of some schools have placed all the responsibility of student’s performance on teachers teaching standards five and six. This needs to be assessed and redirected to all teachers having direct or indirect impact on the teaching and motivation of children within their schools. There are also so many factors that contribute to student’s performance on PSE. Students who live in rural communities that are within multi-grade settings and have limited resources are placed at a disadvantage to urban schools, which may have better access to materials that will aid their learning and class size differentiated by class levels. Urban schools may also have more qualified teachers, greater parental support, better financing, a more advanced school system, more quality peer learning, which all contribute to students performance. Children are also at a disadvantage in rural communities because of poor eating standards, as they are unable to eat nutritious food regularly. Most of these children come from homes which have poor socio-economic backgrounds. These factors mentioned are only few that may contribute to student’s lack of performance on the PSE. The school environment must be one of learning and motivation. Teachers however, play a vital role in ensuring that student’s performance in academics is well nurtured. Student’s self-esteem should be constantly built with words of encouragement from their teachers. Test and other assessment tools should be delivered to challenge students and at the same time provide them with opportunity to apply the content which they were taught. Teachers need to form a network within the school’s system and access relevant and dynamic information that will aid in teaching and delivery of the materials. Learning is now Child Centered, so our approach to teaching should be taken from this angle. The Discovery Approach in getting children to learn using hands on activities should be encouraged within the classroom. While teachers have a great responsibility to bear, it is also the responsibility of parents and the students to ensure that they are creating the environment at home needed to do well on the PSE. Students need to apply themselves to study, so as to become thoroughly familiar with the materials that will be presented. We must move beyond trying to find blame for children’s demise and become proactive participants in the teaching of our students. Evaluation in weak areas of performance within the curriculum needs to be addressed and solutions to the problems cited must be given. It is only when the school networking together with parents, students, community and with teachers that the development of the whole child will begin beyond the realms of PSE.